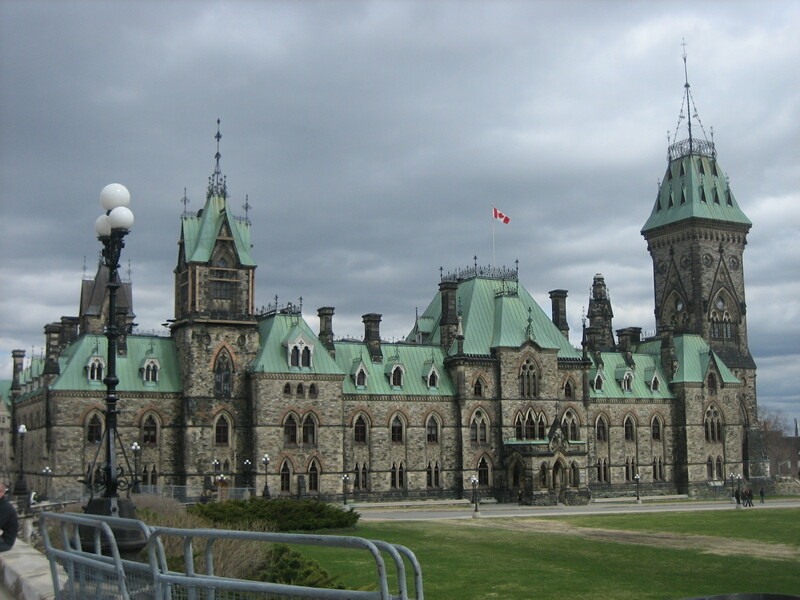 Ottawa was made the capital of Canada by Queen Victoria on December 31st 1857. 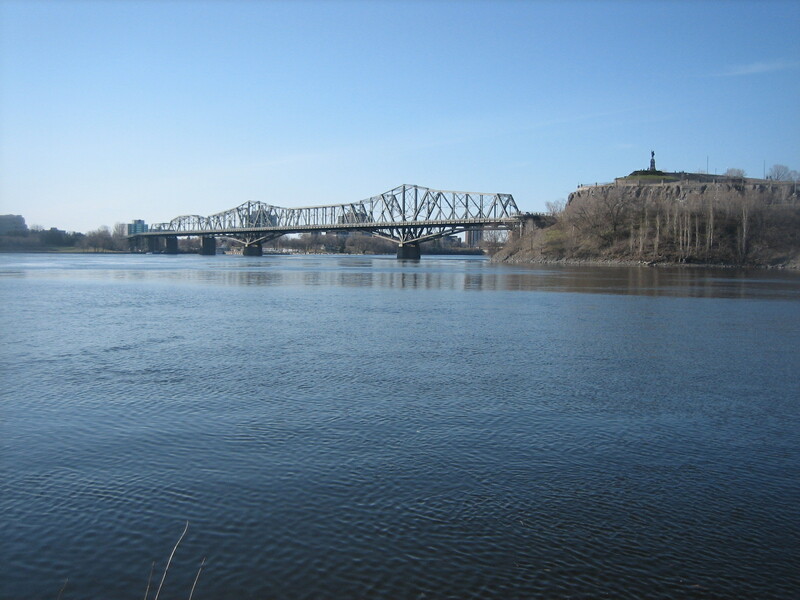 Ottawa was one of the main choices for the capital in the nineteenth century, as it was the only settlement of significant size located between the settlements of the French and the settlements of the English. However, the cities of Toronto and Montreal were not best pleased. Ottawa barely resembled a city worthy of being a capital of a province of the British Empire, so they took important steps to create a capital city, with parliament buildings, monuments and fancy looking museums. Toronto had to settle for being the capital city of the province of Ontario, even though Ottawa is also classed as being in Ontario. While Montreal had to settle for being the capital of Quebec. By the time I arrived in Ottawa it was dark and I was happy to just make it to the hostel and was looking forward to getting tucked up into bed. The hostel looked to have been a private residence when first built, later being converted into a hostel. There were a lot of guests and it had a very homely feel, I even had to take my boots off once inside. But as there were so many guests it looked as if there was a house party going on! As I made my bed and unpacked my essentials, a tall, hard looking man from Manchester who was sleeping in my dorm chatted to me. His name was John and he had apparently taken the train from Vancouver all the way to Ottawa taking him four days! Minutes later I had a random nose bleed. I should’ve probably taken that as a sign not to get to know this guy. I had the pleasure of being woken the next morning not by my alarm, but by the loud Mancunian telling me to wake up and stop being lazy! It was only nine o’ clock and I had two whole days in Ottawa. I made sure I did all the touristy things that were accessible by foot. I loved the architecture of the city. I was especially impressed when I saw Ottawa’s gothic style cathedral with two huge silver spires opposite the glass façade of the National Gallery of Canada. 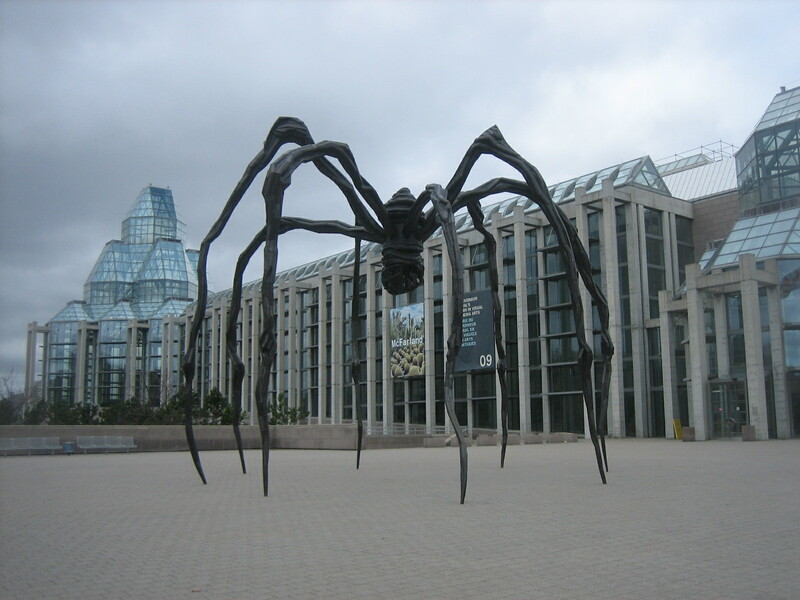 Standing in the big open space in front of the modern building stood Louise Bourgeois’ Maman sculpture, which was a twenty foot spider! I took a wander over to the French side of the city, but I didn’t walk any further than the Canadian Museum of Civilization because the French side of the city looked like an industrial site. After exploring the city for several more hours I went back to the hostel to write out some postcards on my top bunk. I was soon disturbed by John as I came to realise that once in a room with someone he couldn’t stay quiet for long. After going on a several minute racist rant he asked what my plans were for tomorrow and I tried my best to make my plans not sound that interesting to stop him wanting to tag along with me! The next day I enjoyed a tour around the Parliament buildings, as well as seeing protests outside the gates by Sri Lankan citizens. They wanted Canada’s help for the atrocities taking place in their homeland. I went round the Museum of Nature and the Canadian War Museum, where I read about the last soldier to die before the end of the the First World War. His name was Private John Price and he had died on 11th November 1918 at 10:58am, two minutes before the peace treaty was signed. I couldn’t contemplate how unfair that was to have died two minutes short of the four years of that horrific war. I enjoyed my stay in Ottawa. The architecture was fantastic. The city felt bigger than it was because it wasn’t overcrowded like Toronto, with its five million plus inhabitants. One thing I couldn’t believe was that the post office was closed on Saturdays! The main post office in the capital of Canada was closed on a Saturday! Although I didn’t enjoy being at the hostel with John always lurking about, I would hugely recommend Ottawa as one of the cities to visit in Canada.